Learn more about the history of the Philippines and the bravery of its people through this article. The Philippines is a country of rich culture and traditions. In fact, the famed Pearl of the Orient is comprised of many historical and modern sites to see. However, present-day Philippines would not be what it is today without the country’s long, significant, and eventful history. Long ago during the Ice Age period, the country was connected with Mainland Asia, which meant that people could come and go freely through the land bridges. As the years went by however, and the ice melted significantly, wandering men and women who were currently in the country during this era had no other choice but to make the country their home. This land of the brown-skinned race of the Pacific is situated on the Southeast Asian region. The country is popularly known as the Pearl of the Orient because it is truly a gem in Asia. It played a great role in establishing the trade links between many Asian countries in the post. Nowadays, it’s considered the rising tiger of Asia, due to its fast-growing economy. Due to its location, the Philippines held ties with the Chinese, Indonesians, and even the Arabs through barter trade during the era. Ancient Filipino traders gained the trust of these foreign traders, which is the reason why their trading links continually expanded and progressed over time. Since then, Filipinos have welcomed a lot of foreign traders and visitors too. They were known for being highly hospitable and paired with the natural beauty of their home country including its Philippine women, more favorable news about the nation spread across other countries. However, its abundant natural resources also attracted numerous invaders who became interested in colonizing said country. When different nations began to attack the country, it tainted the Philippines’ once peaceful history. The Filipinos had a hard time fighting for their homeland and many lives were shed in battle. However due to their love for their country, they managed to escape the chains of colonization. Thanks to their dark past, Filipinos have become steadfast and resilient. Nowadays, the Philippines is comprised of 7,641 islands and each one plays an important role in the country’s history. Each one has a significant contribution to its booming tourism as well. With more than seven thousand islands to explore, tourists nowadays often find the country to be adventure-filled and the perfect location for a vacation. 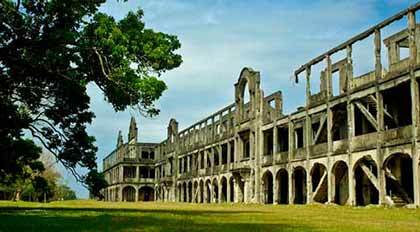 Join our Philippine singles’ tour and explore numerous historical sites in the Pearl of the Orient. Many nations across the world became aware of the country’s rich natural resources and great potential. 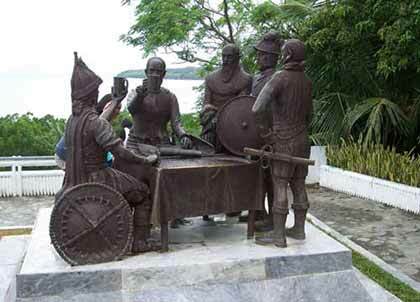 Historians believe that this is what prompted the Spaniards to visit the Philippines in 1521. This was led by world-renowned Portuguese explorer Ferdinand Magellan, which was later credited for conquering the country. As a result of this, the Philippines became one of Spain’s colonies for 333 years. It was a long period of suffering for Filipinos, as they had to fight for their independence and rights in their own homeland. One of the many factors that made it so difficult was their lack of access to infantry weapons. The spirit of helping fellow men was especially evident during those trying times. Filipino men were ordered to fight the battle against the Spaniards, while the Filipino women were tasked to take care of them. This included preparing meals, nursing their wounds, and attending to their other needs. Thanks to their firm support and reliability, the men were able to face the hardships and constant struggles they had to face. Throughout the years of battle and rebellion, their love for their country and perseverance of the Filipino men and women still dominated. Truly, the Philippines’ history is historical proof that behind a strong and unified nation are its people who made it all possible. Despite their victory over the Spanish colonizers however, the next to rule the country were the Americans. The American War started on February 4, 1899 and lasted until 1902 when Emilio Aguinaldo, the first president of the Republic of the Philippines, was captured. However, the Americans promised the Filipinos their independence in 1945. When the Americans took charge, they tried to Americanize the Filipinos by changing their culture, system, and practices. The Filipinos held true to their patriotism and while their culture was influenced in some ways, they still carried with them their traditional practices and beliefs. It was thanks to the Americans however, that Filipinos were able to increase their literacy rate. This is attributed to the Thomasites, who were the first American teachers in the country. In 1935, the Philippine Commonwealth was established, which signified the semi-independence of the country from the United States. However, when the Americans were attacked by the Japanese at Pearl Harbor on December 1941, the Philippines were invaded by the Japanese too. Filipinos continued to fight for their independence and faced the challenges ahead, face on. It was during the historic and significant day of July 4, 1946 wherein the country finally gained its independence from its colonizers. Get the chance to bring home a Philippine bride by signing up on our site today! Philippines is truly the “Land of the Morning”, since it has risen from dark times. The Filipinos have retrieved its independence from the hands of their colonizers. Ever since then, the country has been on a slow, but steady path towards progress and prosperity. The wars and many difficulties they once faced are now a significant bookmark in the past. Nowadays, the country is still playing an important role in trade links not just in Asia, but all over the world. It has widened its doors to more trades, allowing its economy to prosper. Moreover, the historical sites and heritage draw the attention of tourists and travelers to this historic country. All this has helped the Philippines establish its trademark as an ideal tourist destination and business hub. Tourists keep coming back to the Philippines because they never run out of places to explore and activities to partake in. With its 7,641 islands, you’ll certainly have the time of your life when you visit the country. Besides the beautiful views that the nation has to offer, among them is the captivating beauty and grace of a Filipina. 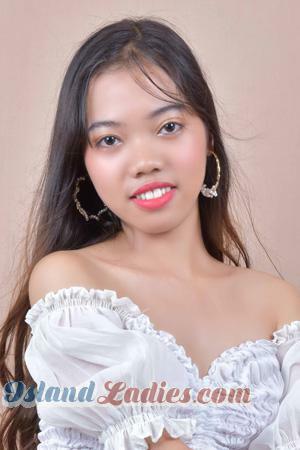 In fact, numerous foreign men find these ladies appealing and most have decided to make the country their home, to be with their Philippine bride. One of the ways to do this is by joining a romance tour to the country. 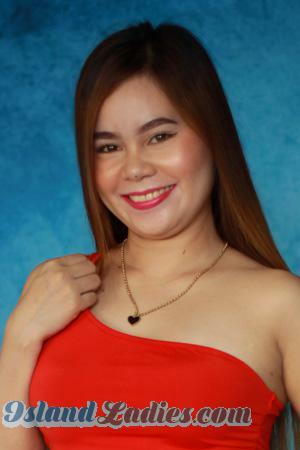 If you’re interested in taking the same path, register on our site to meet Philippine women seeking marriage to foreign men such as yourself. To learn more on how to meet island ladies for dating, be sure to browse through other relevant content on our site.